A lot of homes are suffering from lack of space, and it’s hard to make extra space when you can’t build onto your house or knock down walls. 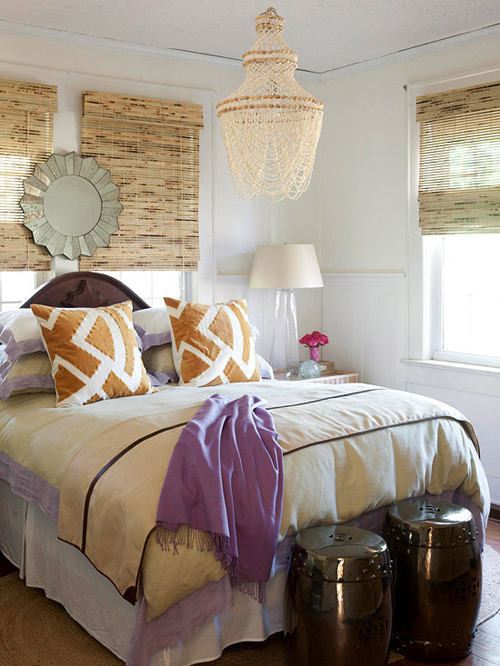 Leave windows bare or install curtains that are close in color to the wall. By having curtains the same color of the wall, the eye isn’t distracted by the curtains, therefore making the wall look larger (even though it’s broken up by a window). Larger walls make a room appear bigger. Make sure your rooms can multitask. Your living room (or bedroom) can also house your home office; your home office can also be your guest bedroom. By having a sofa bed in your living room, you can move over a few pieces and make it easier to accommodate guests that are spending a night or two. If you have a large room, you can fit that huge eight-person sectional, but if your space is limited, try going with a smaller sectional or three person sofa. A small-scale living chair (or two) can provide extra seating and will also balance the sofa AND anchor the living space in the room. 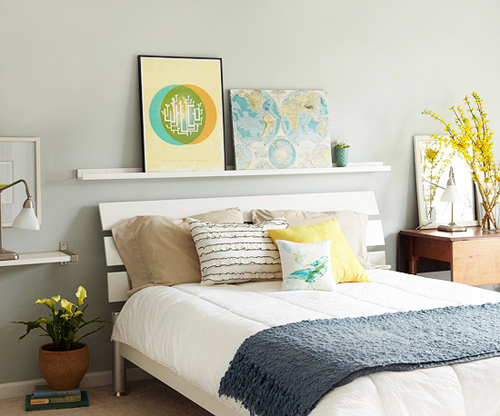 One of the best tricks when decorating a small space is to use light colors on the wall. Apartment dwellers don’t have to be too quick to change the walls from white, because color can be added in the furniture and textiles. 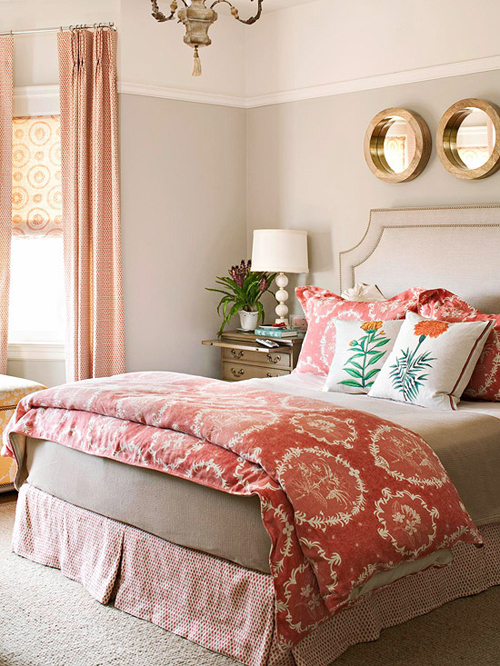 If you’re adamant on a paint “color”, then go with a light color; this way the space will feel more open. It’s fine to go bold with your wall color, but stray away from really deep, dark colors, like black and dark blues, browns, and purples. If you go this route, a good way to make the space feel more open is to bring in lots of white (or light-colored) furniture, accents, and accessories. Avoid too many different colors and patterns. When decorating a small space, it’s always good to pick a color scheme and stick to it. I suggest three colors at the most. Have a wall color (1 color), your sofa color (another color), and an accent color (color number 3). Your pillows, rugs, and accessories can be a mixture of all three. Too many more colors in a small space and the room can look too busy. Busy-looking rooms feel small and cluttered. Also, make sure to keep the amount of different patterns down to a minimum. A bunch of different kinds of patterns can be distracting. When in doubt, stick to 2-4 patterns and make sure it’s a mixture of large scale, medium scale, and small scale patterns. 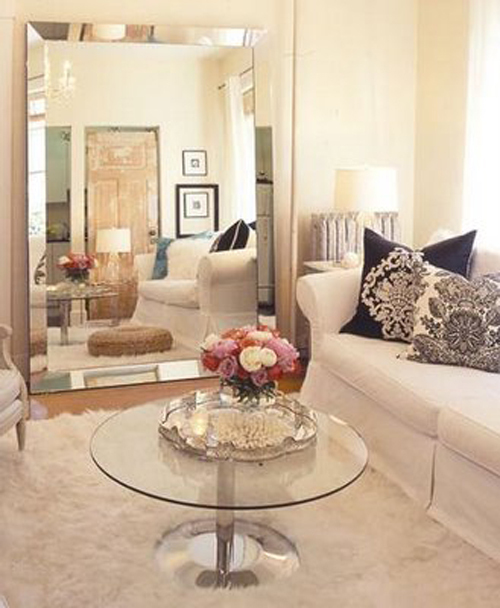 Mirrors create depth and bounce light around a room, making it appear larger. I always suggest getting at least one floor mirror that’s at least five foot tall. 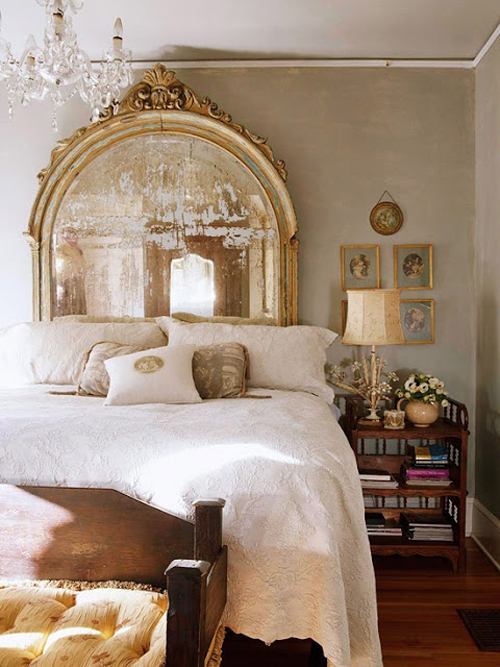 If you don’t have the room for one to sit on the floor, hang a large mirror on the wall or do a gallery wall of mirrors (creates depth and visual interest). Just make sure to plan what’s being reflected in these mirrors; you don’t want to create a reflection on an area that doesn’t look good. Provide good lighting; a well lit space feels bigger. Make good use of vertical lines; it makes a room feel taller. Place curtains at the ceiling and make sure they hit the floor. Other ways include using a tall bookshelf and/or hanging artwork high. The opposite works with horizontal lines; to make a room appear wider, use horizontal lines on the walls. 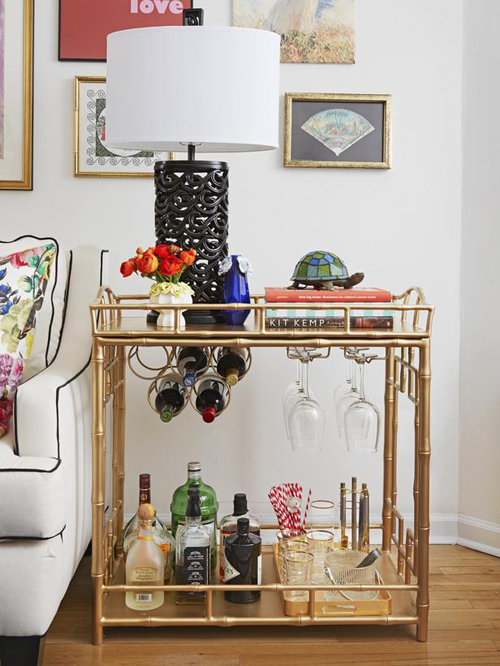 You don’t have to be matchy-matchy, but try to keep the visual contrast down in your small space; you don’t want to have your guests (or yourself) to have too much to take in. This effect in a small space can be overwhelming, especially after being there for long periods of time. Open up your curtains (and windows); Natural light and air can bring freshness and comfort into a small space. Have and store portable furniture (tables and chairs) for when guests come over. Hide clutter; clutter makes a small room seem much smaller. So, do you have your own tips for making a room feel larger? Are any of the tips above your tried and true favorite! Drop me a comment! These some incredible tips! Thanks. Especially for my future apartment 🙂 I love the idea of mirrors and pairing neutral, warm colors together. 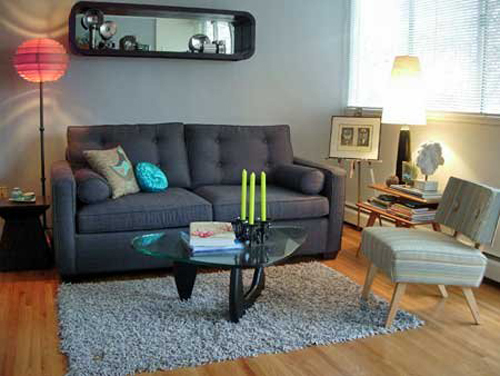 My favorite tip is not using too much color in 1 room,thats so true as its not easy on the eye. I currently live in a small space so I’ll be using your advice to declutter as well. Love the photo illustrations as they give me great ideas about what I want to achieve. *These are some incredible tips…. Thanks for commenting!! Another suggestion for small spaces is going with a monochromatic color scheme (using the same hue in different shades). So if you like blue, you can use a deep dark blue as an accent color, a lighter blue for paint on the wall, a lighter (almost gray) blue for your upholstery, and other shades of blue in your accessories and pillows. Love the bedroom/home office tip and picture! I’m going to have to borrow that for mine – it’s a disaster right now. Thanks! I’m also one that could benefit from this tip. Although I’m not sure if I can move from the convenience of my bed. But, for people that doesn’t like to work in bed or need the workspace, this is great to have that space next to your bed as the desk/nightstand. It could possibly help someone with clutter, too, because no one wants to sleep next to a desk cluttered in paper!!! These are great tips! I’ve actually just bookmarked this page. I live in a veritable shoebox with 4 people, love to decorate, but find that our space never looks better. Now I have some go-to ideas. Thank you! Thanks for visiting The Decor Chronicles! I’m glad that you’ve found these tips useful; be sure to let me know when you make some changes to your space! Thanks Amy!! Many “rules” can definitely be broken. Do what’s best for your space and what makes you comfortable. These tips are meant to be guidelines! Let me know if you need any decorating help!